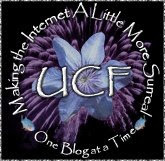 Polybloggimous: Yet Another Mortifying Admission About My Geek Deficiencies. Yet Another Mortifying Admission About My Geek Deficiencies. I haven't commented anywhere on the new Star Trek movie. I haven't seen it yet. I fully intend to see it, but I haven't gotten around to it yet. This means that I don't know what you're talking about with your commentary about it and I'm also avoiding any possible spoilers that I don't want to run across. But guess what. Even after I see it, I won't be commenting. I just don't know the series the way a lot of people do. I liked the original Star Trek. I liked The Next Generation and Voyager. I have no memory of Deep Space Nine if I ever did see any episodes of it. (Look! I'm not even cool enough to refer to to them by their initials the way all the other kids do.) I may have seen the first movie, but I'm not sure -- and I know, for sure, that I never saw any of the other big screen incarnations. I also never saw the animated series; I didn't manage to get a look at any of the unproduced scripts for Phase II, and God save me, I damned sure have never cracked the cover of any of the hundreds of books that have been churned out over the years. So, when you guys go on about how something in the new movie contradicts canon from Season 5, Episode 13, I'll just be scratching my head and moving on cluelessly. Strangely, I can live with the stigma. Note: Thankfully, I'm savvy enough to find this USS Enterprise Instruction Manual hysterically funny. You won't need to worry about canon. How is it possible you never saw Star Trek II: The Wrath Of Khan? Really? Seriously? Seriously really? Really seriously? WTF? And the Cracked piece is made of awesome, thank you. As long as they blowed up stuff good. That's all that matters anyway. Kirk, Spock, McCoy and Ensign Ricky beam down to a planet, guess who's not coming back? I haven't seen the movie either. 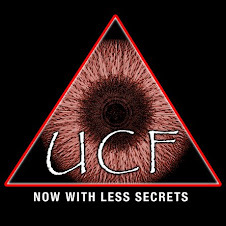 So this is actually the only UCF blogpost I've read that deals with the Trek Reboot. Thanks, Nathan, I was starting to feel a lot like Ensign Ricky in my spiffy red shirt. Also, not to worry - I'm still waiting for half my friends to get around to it before I post anything spoilerlike in public. I am a trekkie, but not rabidly so. I found it entirely enjoyable, and found nothing in it to upset my sensibilities. It captured the spirit of the original show exactly, except with a little less moralizing -- which was also welcome. It was simply fun to watch. I'll probably get around to seeing it this weekend. The trailers all look excellent so I'm looking forward to it.